Bridge the link between big dreams and big realities. 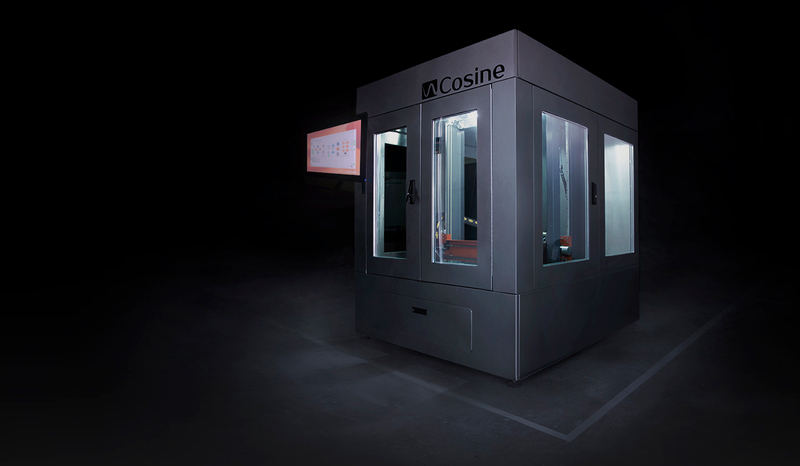 Introducing the Cosine AM1 3D printer. Packed with the power to print at high speed, high volume, and high performance, our AM1 pushes 3D printing to a whole new level. Finished with a powder coated exterior, our Cosine AM1 is as sleek and stunning as it is powerful and effortless. With double pane glass and customizable colors, our Cosine AM1 can match and represent the essence behind your brand. The Cosine AM1’s outer dimensions offer a life-sized build volume. 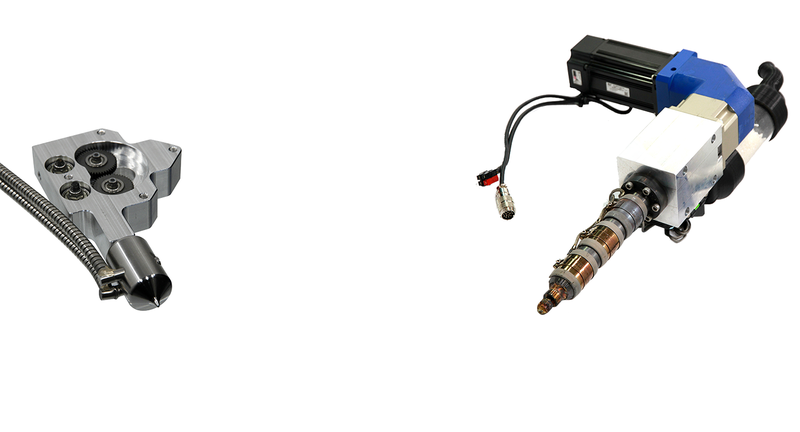 With an enclosed and insulated chamber, the AM1 reaches temperatures up to 100°C. Higher temperatures mean better warp control and a wider selection of materials to print with. 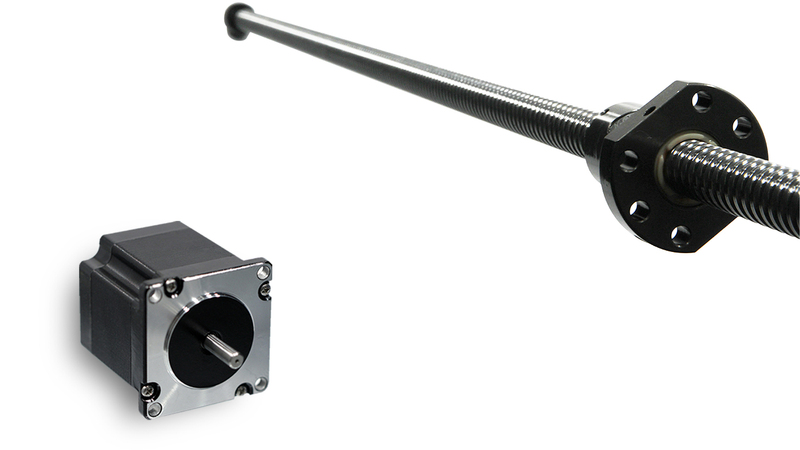 The high-end motion controller, ballscrews, and servo motors result in 50nm positional accuracy and high speeds up to 15,000 mm/min. The Filament Feed System (left) is our standard quality printing method. 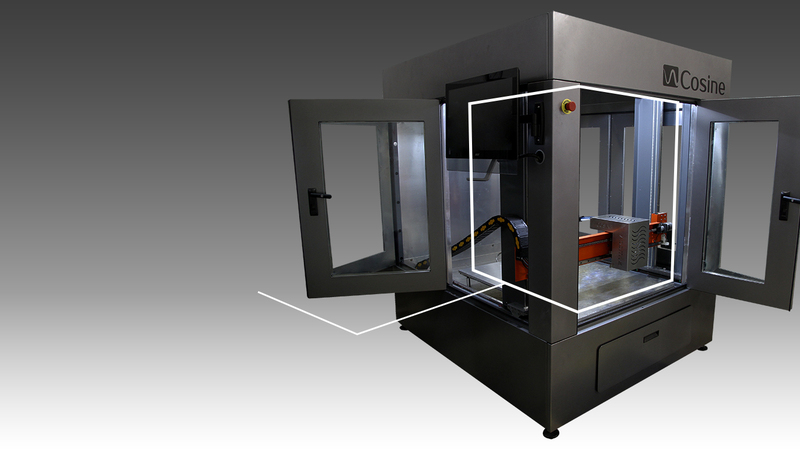 Heating up to 500°C, it provides an open materials market for your 3D printing needs. Our Pellet Feed System (right) presents a quicker, cost reduced alternative in 3D printing. Pellet printing is 10x faster and 10x cheaper than filament printing along with a wider variety of polymer mixed materials. Click here to discover extruder options! Cosine encourages customers to continue using their own material suppliers or utilize our list of vendors to develop new materials for industry specific applications. Cosine also supplies material upon request. While keeping a high repeat-ability rate is always paramount, by moving to open market materials we allow our customers to find the perfect balance between cost, material quality and customer service. Our software is designed in-house, customized specifically for our AM1 printer. With its intuitive and data-driven design, our software provides extended functionality at your fingertips. Connecting with you is no problem for us! 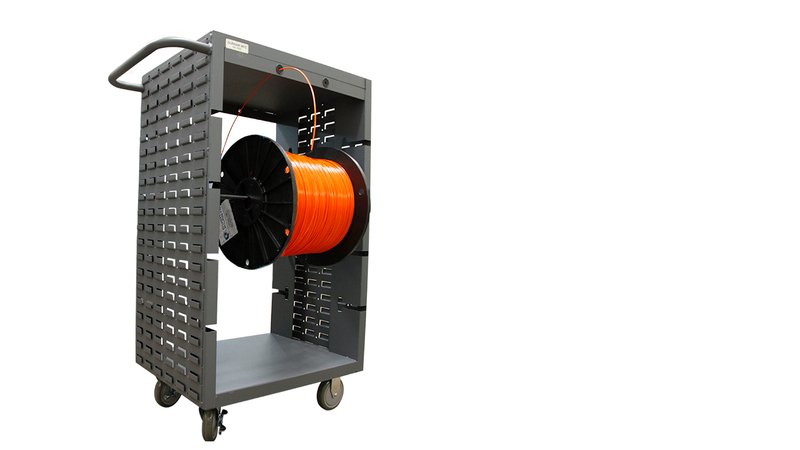 Our printer can link with Wired WAN, Wifi, or even Verizon 4G. With such a range of network connectivity, Cosine can easily service your machine remotely. 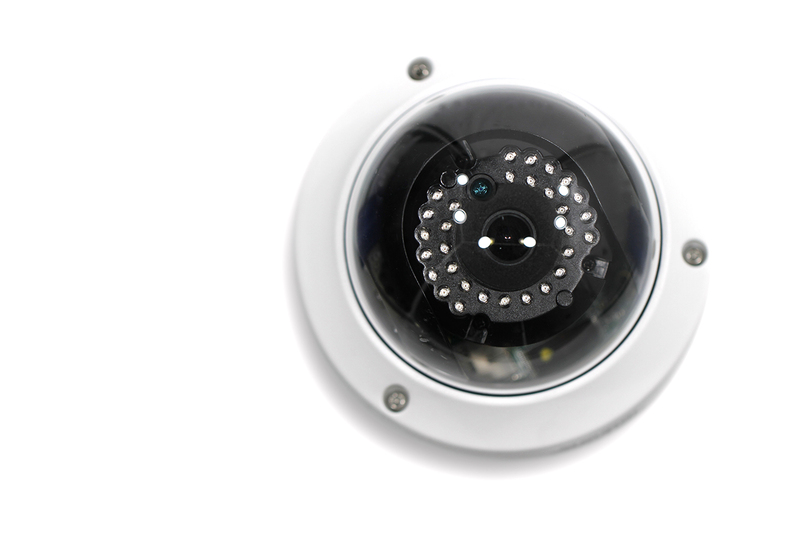 Our AM1 provides remote print monitoring with our ethernet camera. The remote monitoring system is capable of wide viewing progress of your print 24/7. 69in. * 58in. * 73in. 42in. * 33in. * 24in. 42in. * 33in. * 33in. 42in. * 14in. * 33in. 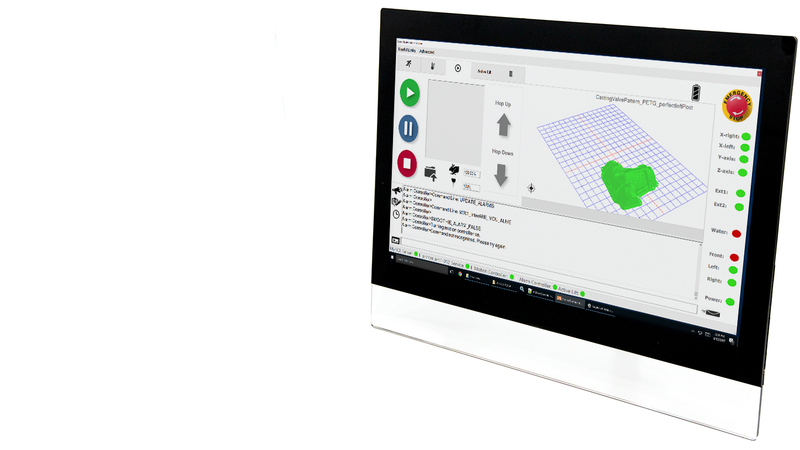 Cosine manufactures the best open 3D printing platform available on the market. See how the AM1 can impact your industry.